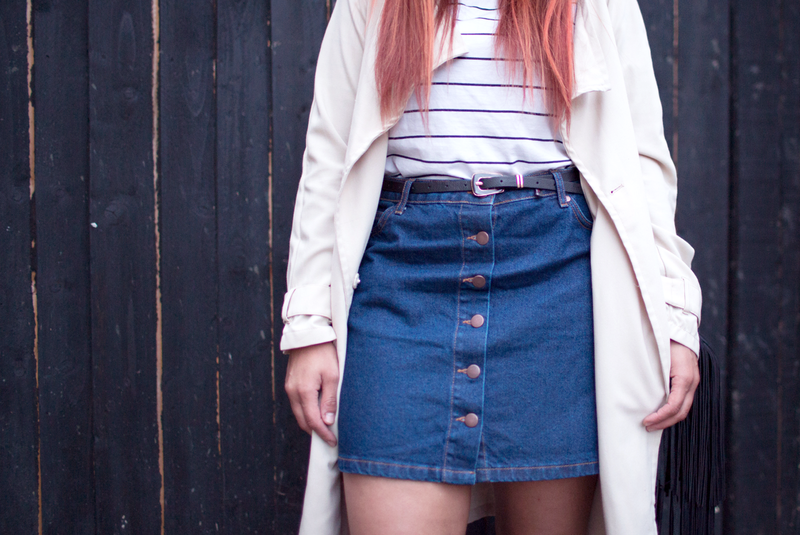 My two favourite shops, H&M and Primark are featured in this spring/summer outfit post. This is another affordable outfit, which proves that you can buy for style and purchase items which will last from season to season. 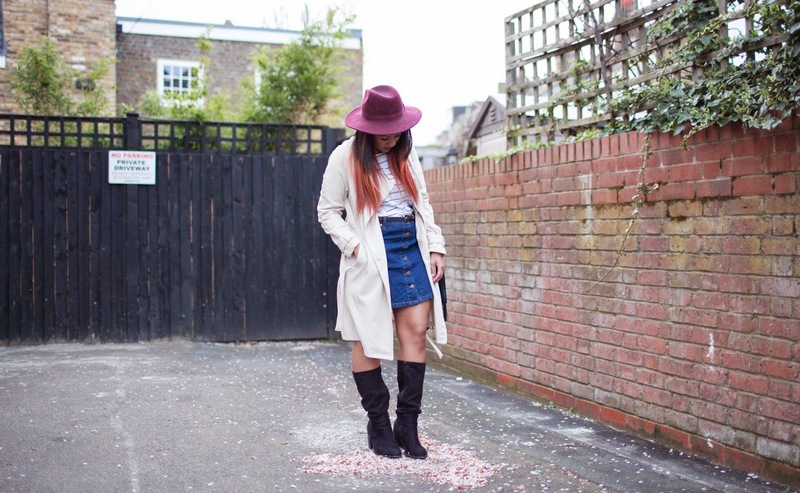 The fedora hat, duster coat and stripe top are over a year old, still in good condition and are season friendly! The denim skirt, fringe bag and knee high boots are more recent purchases, the skirt being the newest item. I absolutely love this years spring 70s trend of denim, suede, fringes, flares and crochet! I have many more affordable outfits coming up styled with festivals and 70s in mind.. so follow me on Bloglovin' to be notified when I post - its free! The key to buying stylish items that last is to stay away from specific prints, colours and textures. I know this may make your wardrobe bland, but my tip is to buy your original, season specific pieces at cheaper high-street stores. It may not "last as long" as a more expensive piece, but thats the whole point of fashion anyways - its fast paced and forever changing. If you guys have subscribed to my Youtube channel then you would have already seen my many affordable look books over the past year or so - check them out to get some transitional inspiration this spring/summer! I love this look! Everything fits together so nicely. I completely agree to get season specific items from high street stores as its so much cheaper to change it up.